Sony proudly presented to the Philippines their extensive suite of revolutionary 3D entertainment and content creation solutions at the Republiq Super Club, Resorts World New Port City last October 5, 2010.Â When we arrived at the event, everything was in 3D.Â They had knockout lights and sounds show using black light and neon lights that was very awesome.Â I couldnâ€™t capture it well enough though because of the low light condition, and if I put flash on it, it wouldnâ€™t look the same.Â Anyway, check out the photos later at the bottom of this blog post. The first product in line for 3D is of course Television.Â Sonyâ€™s new BRAVIA line includes 3D viewing pleasure with two network models â€“ BRAVIA NX810 and NX710.Â Users can easily go on a 3D journey by connecting the TV to the 3D Sync Transmitter and putting on Sony Active Shutter 3D glasses.Â Even in 2D, the TV still displays in high definition video processor with BRAVIA Engine 3 and Dynamic Edge LED backlighting and Motionflow technology of up to 200Hz, resulting in incredibly sharp images, smooth motion and ultra high contrast of over 1,000,000:1. This set also features Wi-Fi integrated BRAVIA TVs that allows you to stream videos online like YouTube and browse through their Internet widgets like Twitter and Facebook. Of course, when pared by the full cinema package BDV-E970W and BDV-E370 and Sonyâ€™s Blu-ray 3D Home Theatre System then this should be a grand experience in your living room. I wish I can have one myself!!! and play video games (especially Gran Turismo 5) on High Def! 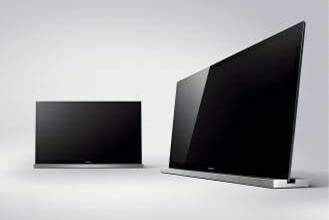 Gaming is now going 3D!Â The 3D BRAVIA TVs are supported by a rapidly increasing variety of 3D content.Â Sony also announced the availability of 3D Blu-ray firmware updates for 3D-ready Sony Blu-ray players and PlayStation 3 (PS3) consoles. Sony also demonstrates how its latest range of Sony Alpha DSLR cameras ( 33 and 55; NEX-3 and NEX-5) and Cyber-shot TX9 easily produce 3D panoramic shots, both portrait and landscape, with its exclusive 3D Sweep Panorama function. This easy-to-use function allows users to simply sweep the camera in a horizontal or vertical direction to capture impressive, ultra-wide panorama shots in 3D that can be viewed on any compatible LCD TV that supports 3D viewing via HDMI. The 3D experience is further enhanced with Sweep Multi View. When activated, the camera simultaneously shoots and stores 15 images from different viewpoints, creating three-dimensional visuals. 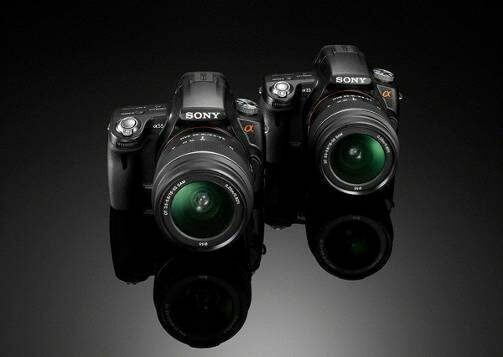 Users can view images with 3D visual effects on the camera screen immediately after shooting by tilting the camera. 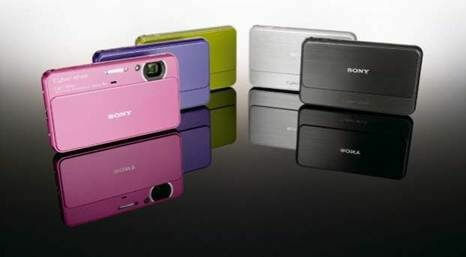 Sony Philippines unveiled two new cameras, the 55 (SLT-A55V) and 33 (SLT-A33), which adopt Sonyâ€™s newly-developed Translucent Mirror Technology, achieving the highest-level performance for both still image and movie recording. Apart from Translucent Mirror Technology, the 55 camera features 3D Sweep Panorama mode, which when activated, allows photographers to capture impressive, ultra-wide panoramic photos in 3D by simply sweeping the camera in a horizontal direction. These photos can then be viewed on any compatible LCD TV that supports 3D viewing via HDMI. A few months back, they announced their new endorser â€“ The Champion Manny Pacquiao! The dominance and unchallenged superiority of Sonyâ€™s 3D World has captured the commitment of a Filipino icon of might and strength – none other than the Peopleâ€™s Champ, Manny Pacquiao. His partnership with Sony Philippines asserts not only their supremacy in their respective fields, but also their shared commitment to the value of bridging imagination and action, vision into concrete reality. He couldnâ€™t be at the event physically because he was training in Baguio for his fight on November.Â So, Sony still made the best out of their technology by spending some awesome money on filming Manny Pacquiao to appear 3D on their 3D Projector screen.Â I donâ€™t know how they filmed it, but I can imagine it to be a bit complicatedâ€¦ I mean the editing and the processing and stuff. Great article! Wonderful blog, thank to google I found it. You have inspired me in so many ways,I like your points of view!